Barn name is " Strait"
Strait's offspring are well built, nicely put together with correct confirmation and gentle dispositions along with color. His offspring have excelled in a array of different equine activities including everything from trail, ranch/rodeo, reining and even trick riding. His offspring are athletic, cowy and easy to train. It is this laid back easy going temperament that he consistently passes on to his foals making them a great pleasure to work with and to boot will always put some color into them! 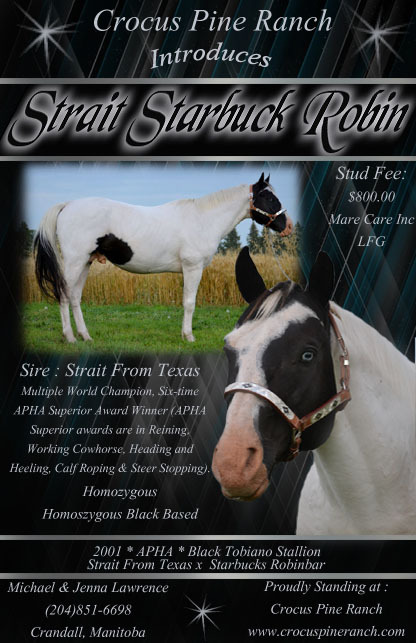 Strait Starbuck Robin is an own son of Multiple World Champion and six-time APHA Superior Award Winner, Strait From Texas. (APHA Superiors are in Open Reining, Working Cowhorse, Calf Roping, Steer Stopping, Heading and Heeling.) World Performance History! 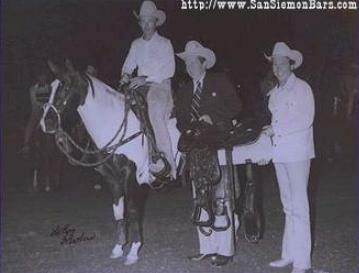 Strait Starbuck Robin has been shown in Reining and Working Cowhorse. Ris Key Business is a 1984 APHA black/tobiano stallion by Cheyenne Moon Bar and out of Happiness Is. He is the APHA World Champion working cow horse, Amateur Reining and Open Reining Sweepstakes, Two-Time Reserve National Champion Open Reining, No. 4 Lifetime-leading Reining Stallion, Points Earned, Three-Time Honor Roll Champion - Superior Reining, World Show Reining Top 10 - 5 Times, ROMs in Open Reining, Western Riding, Working Cow Horse and Amateur Reining - Points in Open Cutting and Amateur Western Riding - APHA Futurity. First Go - Res. World Champion Non-Pro Reining Sweepstakes. Weanling Halter. Multi Leading Sires List. 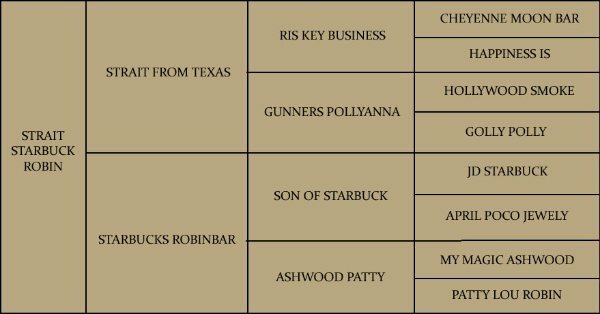 Ris Key Business is also a Pt Horse Assoc. 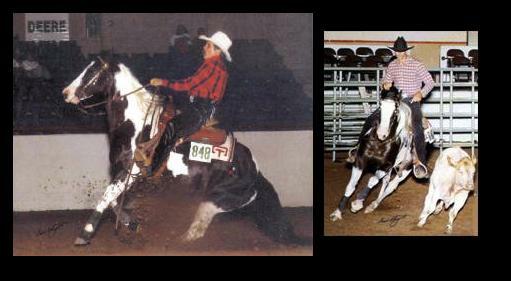 6-Time National Champion - Open Reining and Reining Sweepstakes, Amateur Reining and Working Cow Horse, ROMs in Open Reining, Open Working Cow Horse, and Amateur Reining. Ris Key Businessís offspring have an outstanding performance record. 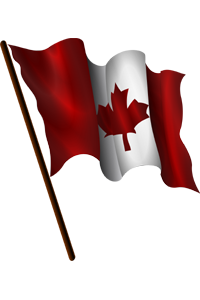 They hold such titles as: Multi Lifetime Top 10 and #1 Leading Horses, Multi World Show title holders. Multi World Show Top 10. Congress All-Around Performance Champion and Reserve Champion World Show Western Performance Champion, Oscar Crigler Cattle Performance Champion, Futurity finalists, Multi Superiors, Multi ROMs and Points, Multi Honor Roll Champions, Multi Honor Roll Top 10, TRHA, NRHA, PTHA, OCAP, & Open Show Point and Money earners, Performance and Halter Champions, Honor Roll Champions and Top 10. Happiness Is - H-0/P-70 Champion Reining Horse. She was shown in Open shows on the Quarter Horse circuit where she won prestigious awards like the Champion Saddle, Belt buckles & the distinction of being the Top Money Earner. She got a standing ovation the night she won the Valley Reining Horse Classic Hackmore Maturity in Pomona, Ca. Her run down slides would give you goose bumps. Dam of 4, 3 paints, 1 solid, 1 shown. 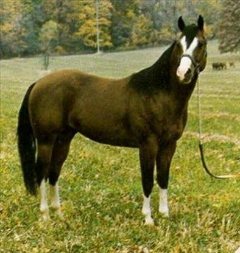 Hollywood Smoke - AQHA H-0/P-36, ROM Performance, NRHA Hall of Fame, AQHA World Sr. Cutting-finalist, Sire of 1 AQHA World Champion, 11 Performance ROMs, 2-time AQHA Quarterama Cutting Champion, 1979 All American Congress Open Reining Champion, NCHA open Cutting Champion, NCHA COA earners; The only horse to have sired 5 World Champion Reining Horses in 5 years.